Age 62 of Massillon passed away Sunday August 19, 2018 in the Laurels of Massillon. She was born August 30, 1955 in Canton to the late Malloy and Arlene (Nave) McGuyrt. 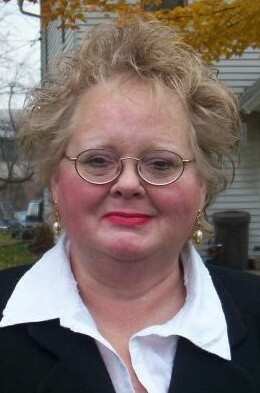 Debra was a 1973 graduate of Canton South High School and retired from the Hoover Company. Debra was a member of the former Zion United Methodist Church. In addition to her parents, she is preceded in death by one sister, Cheryl McGuyrt; one brother, Gary McGuyrt. Debra is survived by her husband, Lance A. Norris to whom she was married 15 years; one daughter, Cassie (Ben) Stanford; twin grandchildren, Finnleigh Jo and Wyatt Lee Stanford; two brothers, Tim (Lois) McGuyrt and Scott (Brenda) McGuyrt; one sister, Marilyn McGuyrt; numerous nieces, nephews and extended family. A memorial gathering will be Thursday August 23, 2018 from 5-7pm in the Kreighbaum-Sanders Funeral Home. There will be no other services. Condolences or fond memories may be shared online at www.sandersfuneralhomes.com.